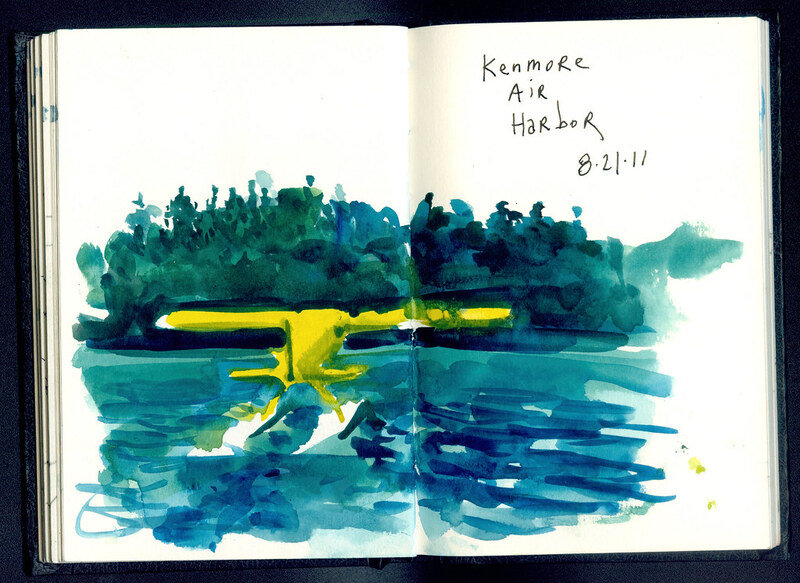 I’ve wanted to bring my kids to Kenmore Air Harbor since my first visit in June. What a great place to relax and enjoy the views and seaplane activity! On Sunday morning, we all had a lot of fun watching seaplanes take off and land and even brought our own sketchbooks, as we were joining the Seattle Urban Sketchers for a group sketching session. For my drawings, I stayed away from pen and ink this time. It’s good to try other media every once in a while. I enjoy pencil because it forces me to pay attention to light and dark areas. 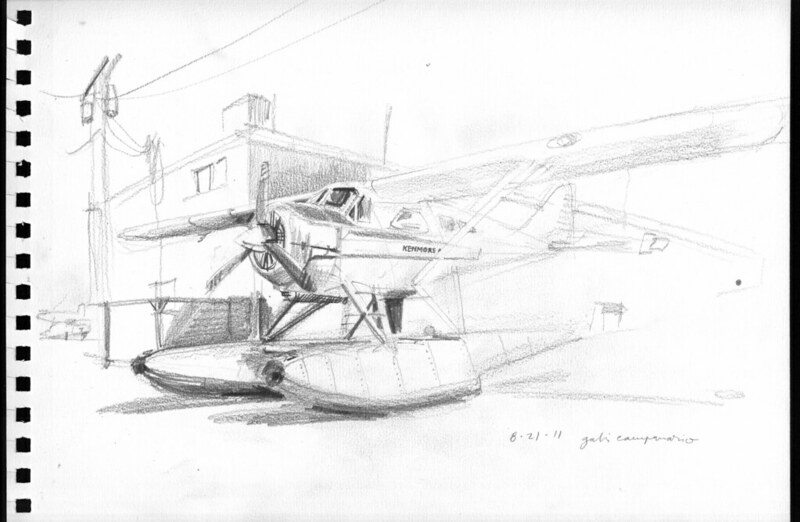 I would have probably continued the sketch but we got distracted by a forklift carrying a seaplane to the water. We ran to see the action and I never came back to the sketch. If you ask me, I think it’s actually better unfinished. I may have overworked it if I had spend another half-an-hour on it. 2B pencil on 9″ x 12″ Canson heavyweight spiral-bound drawing pad. 111 lb. Drawing directly in watercolor, without ink outlines, also forces you to concentrate on mass and light, as oppose to contours. This yellow seaplane was already quite far away into the lake, about to take off. I squinted to try to capture the essence of the form and colors. Stillman & Birn Gamma Series hardbound 4″ x 6″ sketchbook.